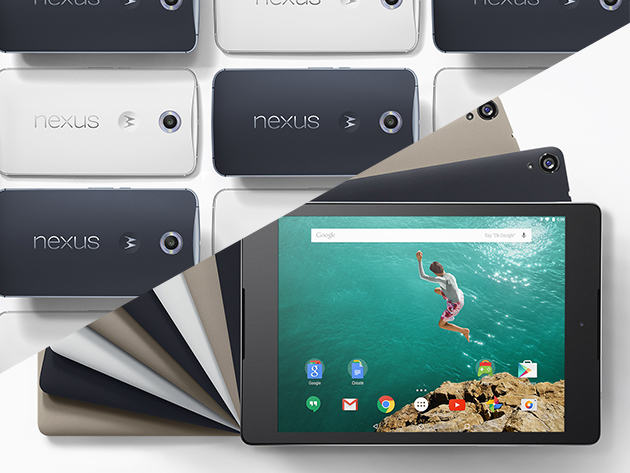 WCCFtech Android Giveaway - Get a Nexus 6 and a Nexus 9! Are you an Android lover always trying to get your hands on the best gadgets available on the platform? This is a giveaway designed to satiate your love and craziness for Android! Not only do you win an absolutely brand new Nexus 6 smartphone but you also get to taste the operating system on a tablet. Aptly known as Android-lover’s goldmine, this giveaway gives you a chance to win a brand new Nexus 6 and a shiny new Nexus 9 tablet. While you are at it, why should you just compromise with one when you can have double the fun? Entering this giveaway is as simple as ever. Head over to Wccftech Deals and click on the green LOG IN TO ENTER button. Add in your valid email address and ta da! You are in for a chance to win an Android treat worth $978! Don’t forget to share on Twitter for additional entries and more chances to win this gorgeous Android giveaway. The more your followers and friends enter, the more entries you will receive. Simply make sure you yourself enter just once as multiple registrations per person will disqualify you from awesomlicious Android giveaway. Note: Make sure you enter a valid email address as this is where Wccftech Deals will contact you if you win the giveaway.